[toc]Stomach gas and bloating is an annoying health problem that is now taking its grip over people more aggressively than ever. Thanks to ever-rising habit of eating junk foods and sedentary life style that are making people more prone to gas and bloating. Fast and stress full life also contributes to the formation of stomach gas. Studies estimate that people expel gas 14 times a day which may be normal but certainly not a sign of healthy body. While conventional medicines provide temporary relief from gas, they don’t cure it permanently. But what should be done to get rid of gas forever! You can rely on home remedies which can be followed easily at home using natural kitchen items. 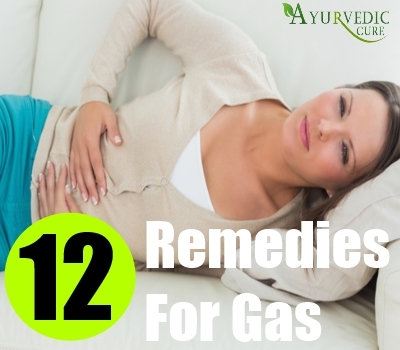 Apply the home remedies explained below to say good bye to stomach gas forever. Ginger has exceptionally healing properties for several health ailments. Ginger root is popularly used to flavor Indian foods. If you want to stay away from gas problem then you too can include ginger root in your daily diet. Use ginger along with other ingredients to garnish your dishes or sip ginger tea instead of regular tea. Another way of using ginger for gas is chewing freshly grated ginger before having meals. Caraway seed is also an important culinary spice used in Indian cooking. 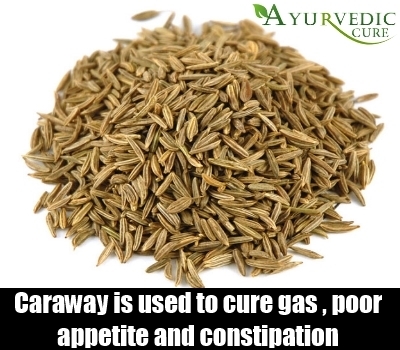 Since ages people used caraway seeds to cure several heath issues. Women use caraway seeds to relief menstrual cramps. It is also used to cure poor appetite, constipation, spasms of stomach and intestine including gas and bloating. So, always make sure that you use caraway seeds in cooking foods. Another way of using it is boiling the seeds with water and taking the strained liquid after meals. Caraway oil is also available which can be consumed in a dose of 50-100mg every day along with peppermint oil. Fennel seed is the most popularly used home remedy for stomach gas in India. It is been customarily consumed after every meals due to its quality to digest even heavy meals. It can be either used as culinary spice for cooking food or can be chewed after every meal. 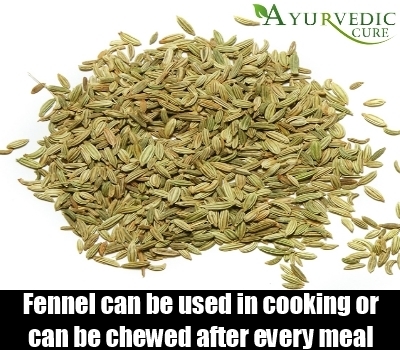 The cooling effect of fennel seeds also provides relief from heartburn and indigestion. It relaxes the muscles of digestive tract and help to release trapped gas. You can even prepare fennel seed tea by crushing the seeds and pouring boiling water over it. 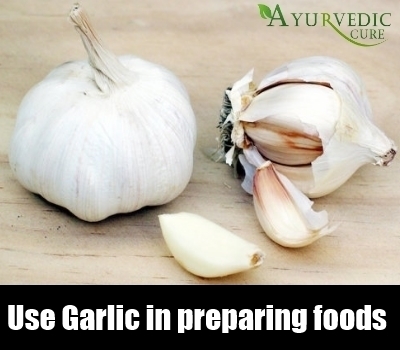 Whether you like the pungent smell of garlic or not, start using in right away in preparing foods, not just to get rid of gas and bloating but also for its numerous health benefits. It would be wise to mention it here that garlic provides a number of health benefits from controlling cholesterol to lowering high blood pressure. Probiotic foods are very good for stomach health. They facilitate the growth of intestinal bacterial necessary for digestion. Therefore, try to consume probiotic supplements or foods enriched with probiotics to get rid of gas and bloating. However, supplements should be taken after consulting a physician. Probiotic enriched foods such as yogurt is easily available in the market. So, next time when you go for shopping, pick the one with probiotic properties. You should notice the foods after taking which you get gas and bloating. And avoid the same next time in your meal. However, certain foods are known to form gas than other. These foods include fried and processed foods. 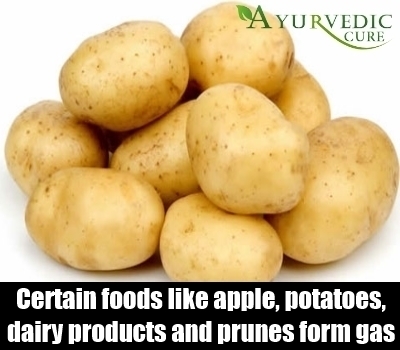 Some other foods that are commonly found to form gas are Brussels sprout, cabbage, broccoli, cauliflower, onion, apple, potatoes, dairy products, prunes, peaches and ice creams. Sipping hot water is an age-old remedy to prevent gas. It effectively digests even heavy meals. 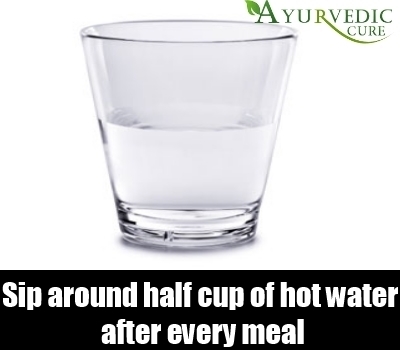 If you are suffering from gas problem frequently then sip around half cup of hot water after every meal. Exercise is the best way to keep your stomach gas free. Physical activity like walking, swimming, and aerobics helps to release the gas trapped in stomach muscles. Fight your gas problem by following an exercise routine of at least 30 minutes every day. It is even better if you can take out more time for physical activity. And if you don’t like strenuous exercise then just go for rejuvenating and healing yoga to stretch out the abdominal muscles which also expel gas from the body. Green tea is also a wonderful remedy for gas and bloating. 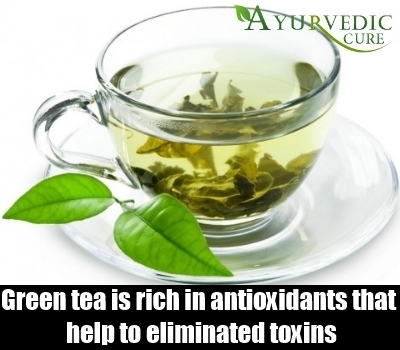 Many studies have suggested that green tea is rich in antioxidants that help to eliminated toxins. Toxins are deposited in the colon and trap the gas forming a bloated stomach. You can sip green tea at any time of the day. But, it is found that consuming it after meal helps to prevent gas formation. 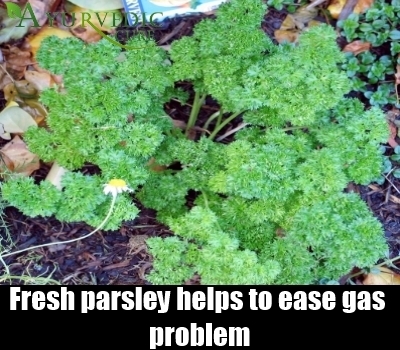 Fresh parsley helps to ease gas problem like no other. You can even use its dried form for controlling gas. Try to use it while preparing your meal. Sprinkle fresh and raw parsley on salad to make it delicious as well as healthy. Research a recipe to prepare you own parsley dressing and use it on salads. In this way you can increase your intake of parsley in daily foods. Here is a recipe to use turmeric for gas. You must be surprised to know that cancer fighting turmeric can even cure gas problem. Yes it does, and you need to use it in the following way for gas problem. 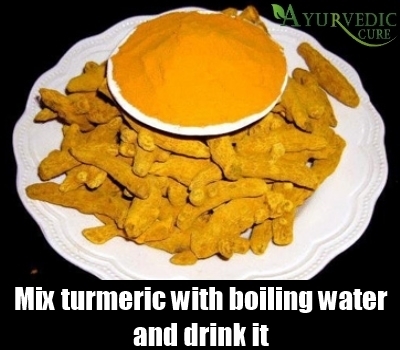 Add one teaspoon of turmeric with boiling water and it dissolve for 2 minutes. Then stir with a spoon and drink it slowly. Lemon is a versatile remedy for many digestive problems. It can be used in many ways to relief several stomach disorders. 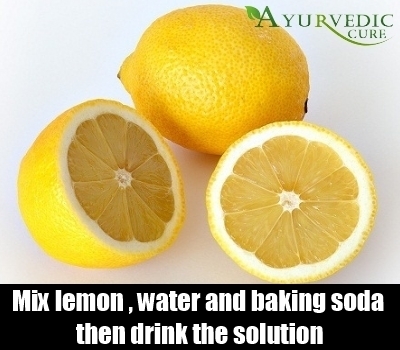 Here is one such remedy using lemon. Squeeze a lemon juice in a glass and add baking soda into it. You will notice the appearance of fizz instantly. Continue to add baking soda until the fizz stops occurring. Then pour in a cup of water and mix all of them together using a spoon. Sip the drink slowing for sometimes. You will feel the gas releasing from the body instantly after drinking the liquid.